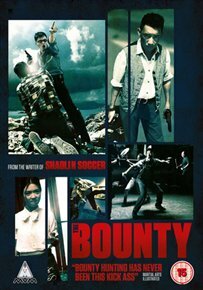 Action comedy following bounty hunter and martial artist Cho Sai Fung (Chapman To) on a job to track down a fugitive. Cho arrives at the Lazy Inn, situated on an island in Hong Kong, to search for thief Lee Kin Fai (Zhiyi Wang). The innkeeper Boss Suen (Alex Man) and his daughter Suen Long Ching (Fiona Sit) become curious about Cho’s activities but their interference only causes problems for the bounty hunter.